A fall wreath is one of the best ways to welcome friends and family into your home and it doesn’t have to cost you a hundred dollars to do it. Just because it’s fall, it doesn’t mean it has to look like a bunch of dried leaves. 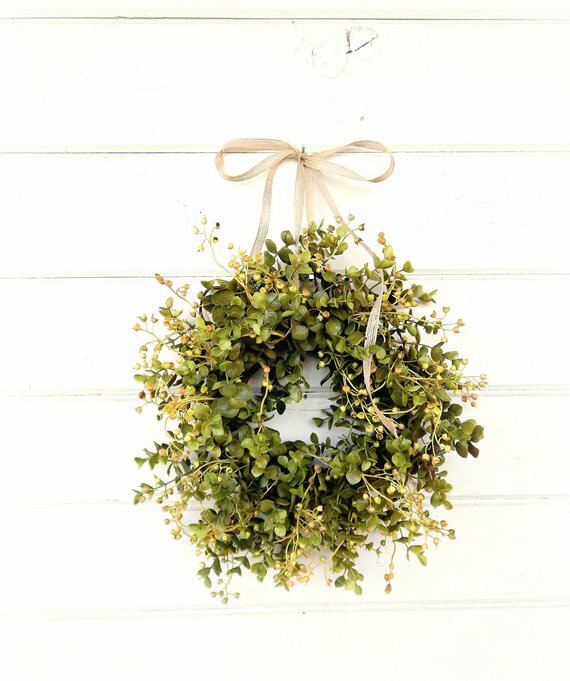 The eucalyptus wreath is simple, yet elegant. For many families, the fall means one thing, football. 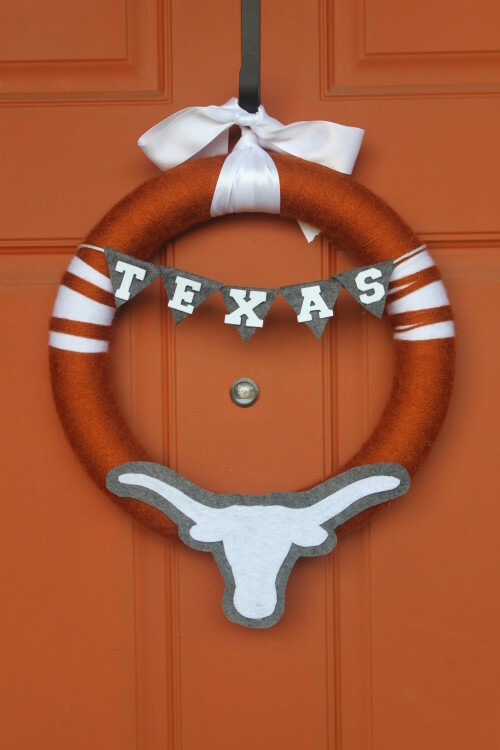 Decorate your door in your team colors. Kendall of The Entertaining Life shows you how to make a custom wreath in your favorite team’s colors. There’s something about dried corn that just makes you think about fall, which is why a corn wreath is a great way to say welcome to fall. Yvonne at Stone Gable offers a step-by-step tutorial on how to make it. This fall floral wreath took just five-minutes to make. 2 Bees in a Pod gives you a quick tutorial. It will take a lot of acorns to create this rustic wreath, but it looks amazing in the end. Vanessa at Crafts Unleashed shows you how it’s done. If you need more acorns, you can find them here on Etsy. 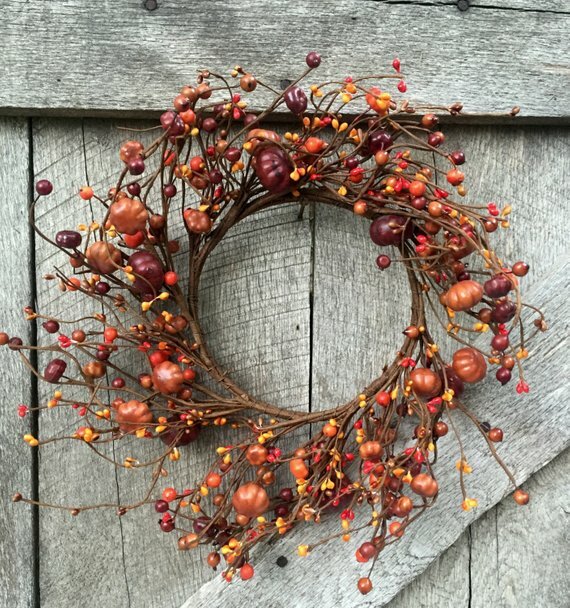 From rustic to chic, this wreath offers an upscale fall feel to any door. As Colleen at Lemon Thistle shows, it’s not hard to make either. Pumpkins and fall seem to be synonymous, which is why this wreath works so well. Hang up this pumpkin and berry wreath for Halloween, but then keep it up all the way until Thanksgiving. It works for both. Add a different feel to fall with this felt leaf wreath. All you need is felt, some scissors and a glue gun. Lia Griffith shows you exactly how it’s done. Not only does this wreath look good, but it smells good too. Hi Sugar Plum shows you how to make this pinecone wreath. If you live near a lot of pine trees, it may just take an evening walk to make sure you get all of your supplies. If you need a few more pinecones, you can find them here on Etsy. Cinnamon, spice, and everything nice. The I Don’t Know How She Does It blog shows you how to say hello to fall with this cinnamon and orange fall wreath. Simple, yet elegant. This fall cotton wreath adds a little something extra to your front door. Run to Radiance takes you through the step-by-step process. What are your favorite fall porch wreath ideas? This is Kendall from entertaining life.com! Thank you so much for sharing my wreath on your post. Feel free to grab the image and use it if you’d like ! Great! I added your image. Thanks so much! I hope you get plenty of people clicking over to your blog and learning how to make that amazing football wreath! So cute! 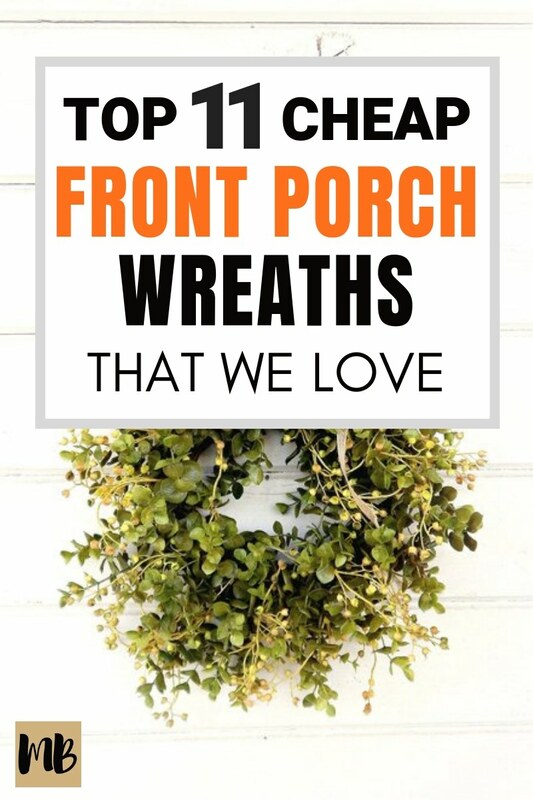 The Eucalyptus Wreath caught my eye and I am so glad I clicked on this article! I love the variety of wreaths you included. Thanks for the ideas, I can’t wait to make some of these! Wreaths are so stylish! Could you recommend any other door decorations?